A charity credit card is an easy way of supporting a charitable organization, such as the WWF, RSPCA or Susan G. Komen. Usually, you do not directly donate any of your own money. Instead, the card issuer will give a percentage of what you spend to the charitable organization of your choice. For many charitable credit cards, the credit card issuer will also make an initial donation to the charity when you first activate your new card. Example: You want to support the World Wildlife Foundation (WWF) so you get a WWF Visa credit card issued by Bank of America. Each time you make a purchase using your credit card, 0.25% of the amount is donated by Bank of America to WWF. So, if you make a $400 purchase, $1 is donated by Bank of America to WWF. Is it the best way to support a charity? Is charitable credit cards really the best way to support a charity? Critics argue that it is better to pick the credit card that is best for your economy (e.g. gives the best cash backs) and then donate directly to your charity of choice instead. The best way to find out what the best choice is for you is to do the math yourself. How much money would go to the charity if you used your charity credit card for purchases totaling $10,000 in a year? How much money would you save (discounts, complimentary travel insurance, etc) and get back (cash back) if you instead went with a regular credit card and made $10,000 worth of purchases in a year? Make sure to pick a credit card that suits your lifestyle, e.g. a credit card with great cash back for gas if you drive a lot, and so on. 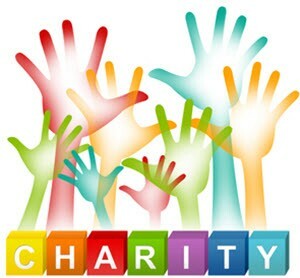 In some situations, it is better to chose a non-charity credit card and donate your cash back and savings to charity. With this choice, you will also have more freedom when it comes to picking a charity. You can go with your neighborhood soup kitchen or local cat rescue instead of having to make do with one of the very large organizations that work with credit card issuers. Example: At the time of writing, Bank of America is offering a charity credit card in cooperation with the Susan G. Komen organization, an organization that fights breast cancer. The contribution from Bank of America is 0.08 percent of each purchase. This means that if you make a total of $10,000 in purchases over the year, Bank of America will donate $8 to the Susan G. Komen organization. They will also donate a fixed $3 per year for as long as you account is open. So, that’s a total of $12 in donations. If you instead had opted for a non-charity card that gives you a flat 2% cash back on all your purchases, you would get a $200 cash back on your $10,000 purchase, and you can decide freely what to do with that money. Donating a mere $13 to the Susan G. Komen organization would mean a better outcome for the charity than if you had used the charity card, and you would still have $187 left of your cash back. Depending on where you live, you might also be able to report your donation to the tax agency and claim a tax deduction, something which you can’t do when Bank of America is doing the donation.